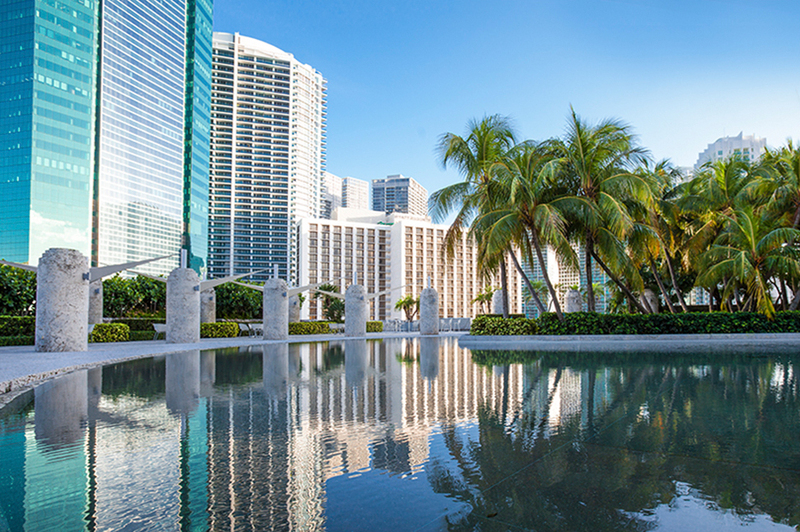 Miami Tower is an iconic office building located in the heart of downtown Miami, built in 1987 and designed by I.M. Pei. 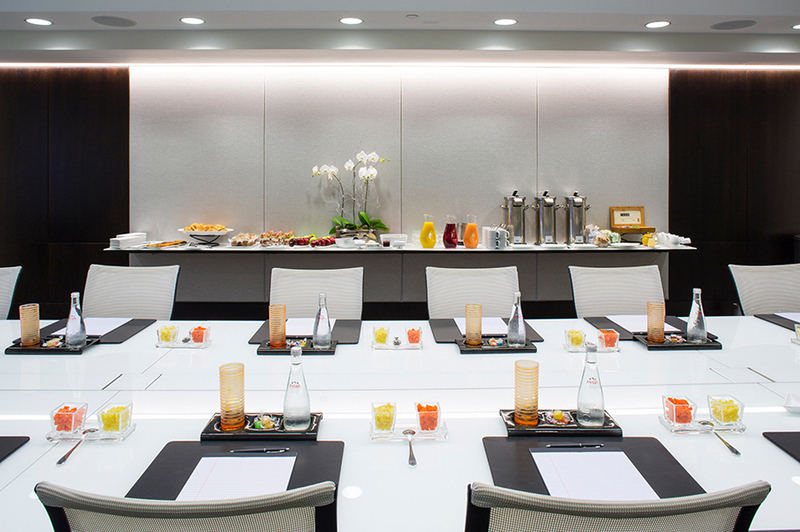 PN+L was tasked with updating the common spaces, bringing a fresh appearance to the well-known building. 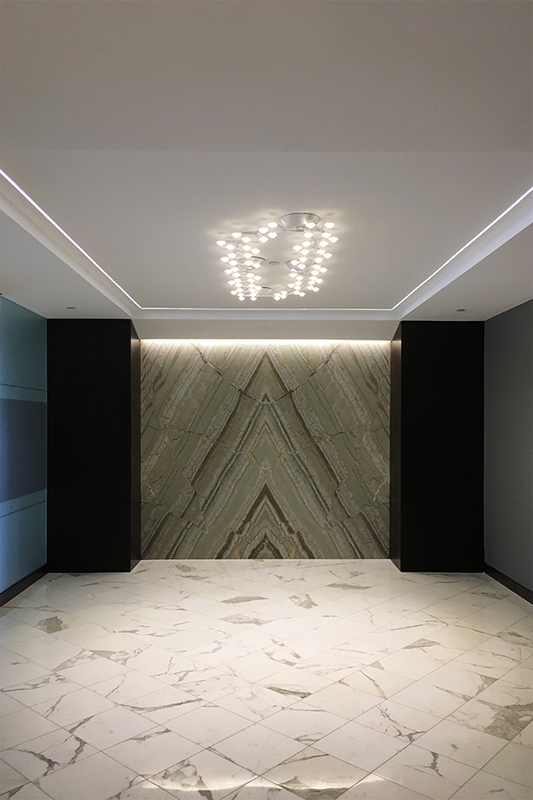 On the 11th floor Sky Lobby level, you arrive to a bright, naturally lit interior lobby space with white marble tile, offset by the green marble wall paneling. 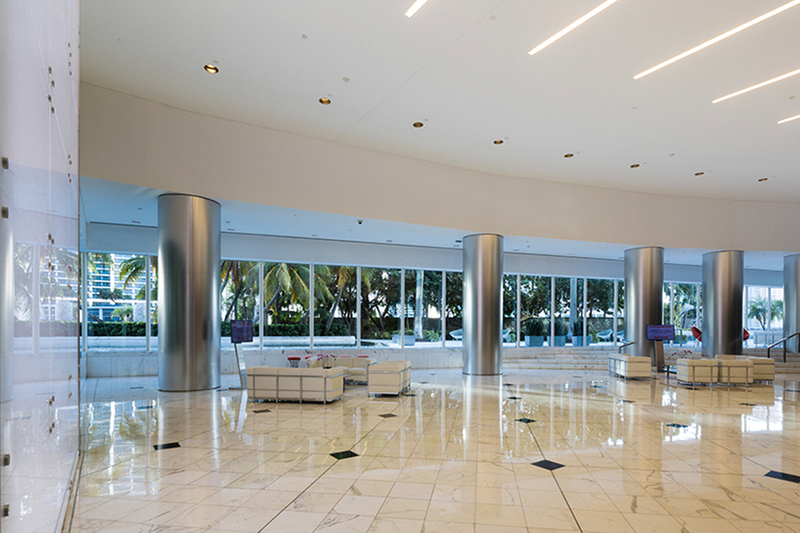 PN+L incorporated new, brushed stainless steel cladding to the existing columns, back-lit floor-to-ceiling white back-painted glass paneling, a custom metallic 3 Form wall art sculpture, along with white leather classic Le Corbusier furniture. A pop of color was brought to the classic space with the addition of the Knoll Womb chairs and Knoll Platner stools along the bay windows for a relaxed view to the outdoor terrace. On the outdoor Sky Lobby terrace level, Tuuci Umbrellas shade the white Tom Vac chairs and silver knoll dining tables. The existing white trellis at the east side was replaced with modern, white shade sails, creating their own iconic look. Often used as an event space, the existing bar area received new white Knoll Bertoia bar stools and silver Knoll high top tables for cocktail receptions. 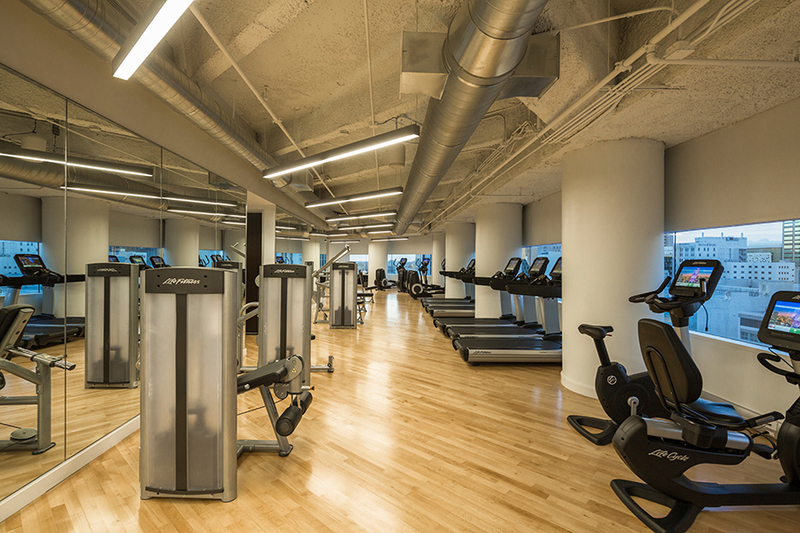 At the north side of the 11th floor, a new fitness center was designed with a fresh, modern and upscale vibe. 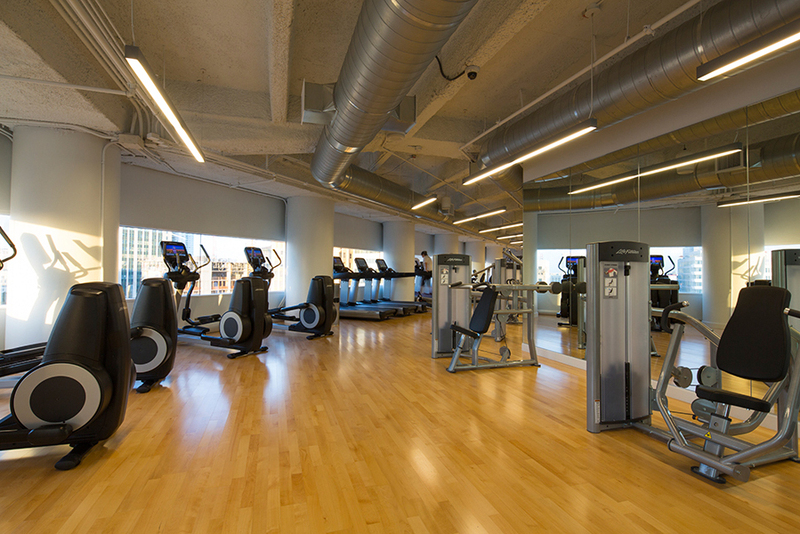 Linear pendant light fixtures hang above top-of-the-line fitness equipment, shining against the light hardwood floors. The exposed ceiling helped to add height to the linear space. 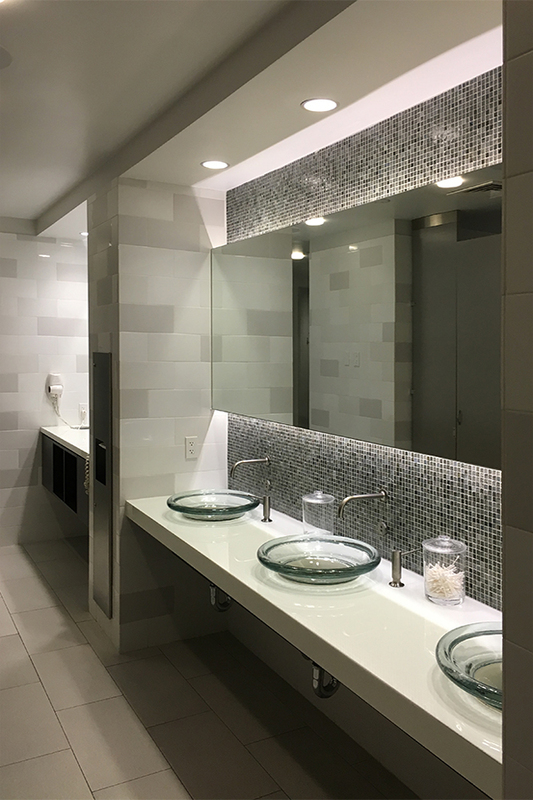 The locker rooms were designed with white tonal tile throughout, adding pops of color and texture from the backsplash tile to the dark wood custom millwork. Clear glass vessel sinks add clarity against the glass, Glassos counter tops. The Management Office and Conference Center were relocated from the 19th floor to the ground floor of the office building. 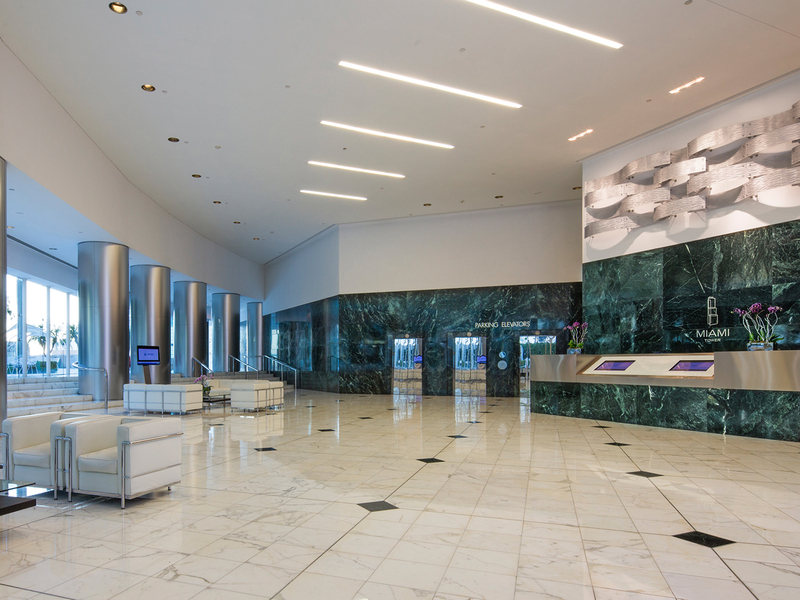 The white marble tile flooring flows from the common space, into the management reception space. Dark walnut wood offsets the metal accents throughout both spaces. White leather Le Corbusier furniture sets the tone once again in the conference center ante room, against the medium gray carpet. 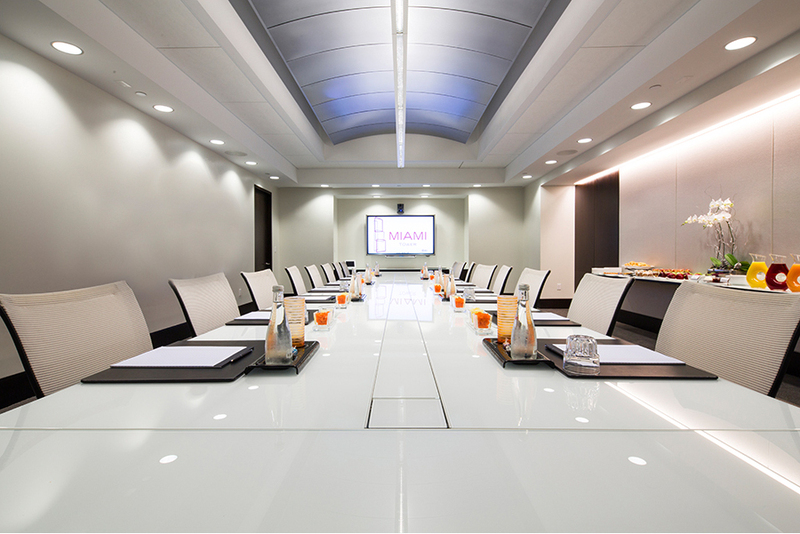 A brushed metal vaulted ceiling hangs high above the white back-painted glass conference table. 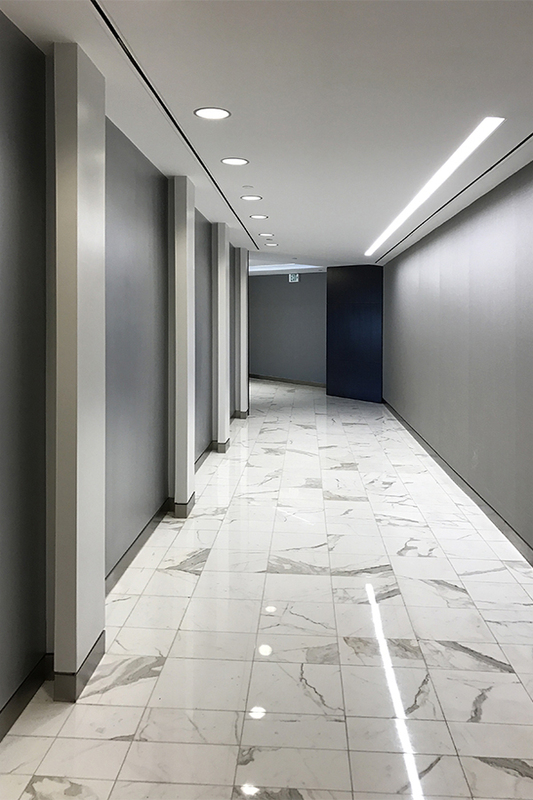 PN+L was heavily involved with helping the building owners bring an added touch to such an iconic building with its clean, modern design that I.M. Pei set the precedent for.